Where to find Douro-Dummer hotels near an airport? Where can I find hotels in Douro-Dummer that are near tourist attractions? Although accommodation options in Douro-Dummer are very limited, Expedia's wide-ranging database lists numerous accommodation options in the surrounding area. There are as many as 23 hotels located within 0.1 kilometres (0.06 miles) of Douro-Dummer. 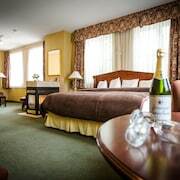 The closest of our hotels is the Holiday Inn Peterborough-Waterfront, ON, Ontario, which is 25 kilometres (14 miles) from the middle of Douro-Dummer. 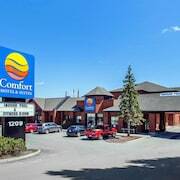 As an alternative, check out the Best Western Plus Otonabee Inn, located in Ontario, which is 25 kilometres (14 miles) away. The Comfort Hotel & Suites is located 25 kilometres (16 miles) from the central part of Douro-Dummer. 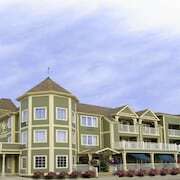 Alternatively, the Peterborough Inn & Suites Hotel is located 25 kilometres (14 miles) away. Some other hotel and apartment options around Douro-Dummer include the Quality Inn Peterborough and the Super 8 Peterborough. After you've explored Douro-Dummer, set out to discover the many other delights of the Southern Ontario area. Photograph Southern Ontario's beaches, coastal plains and forests. In addition you could head to a few of its traditional villages. Adventurous travelers can try skiing in this part of Canada. 55 kilometres (34 miles) away from Douro-Dummer you will find Cobourg, where you can spend a few hours exploring Northumberland Mall and Victoria Hall. Should you wish to visit Cobourg, be sure to check out the The Woodlawn Inn and Best Western Plus Cobourg Inn & Convention Centre. Alternatively, you could stay in Lindsay, 50 kilometres (32 miles) to the west of Douro-Dummer, where you can pick from the Admiral Inn & Conference Centre and Howard Johnson Lindsay. The Ken Reid Conservation Area and Academy Theatre are a couple of the popular places to check out when you're in Lindsay. Get your sporting fix by making a trip to General Motors Centre, which is 85 kilometres (53 miles) to the southwest of Douro-Dummer. 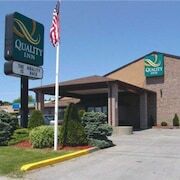 For visitors who are interested in booking accommodation nearby, make a reservation in the Quality Suites Whitby or Comfort Inn Oshawa. Norman Rogers Airport is a practical airport, and is 120 kilometres (77 miles) from Douro-Dummer. 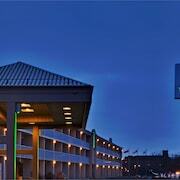 Nearby accommodation options include Travelodge Kingston LaSalle Hotel and Bayside Inn & Waterfront Suites. What are the most popular Douro-Dummer hotels? Are there hotels in other cities near Douro-Dummer? 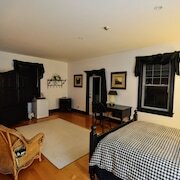 What other types of accommodations are available in Douro-Dummer? Explore Douro-Dummer with Expedia.ca’s Travel Guides to find the best flights, cars, holiday packages and more!